White ratany (Krameria grayi) is a spiny flowering shrub that is common in the American Southwest and Mexico. A desert native, it is very drought resistant and produces multitudes of attractive purple to red flowers in the spring and fall. 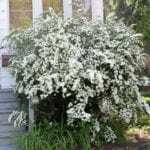 Keep reading to learn more about growing white ratany shrubs. What is Krameria grayi? Also known as chacati, white krameria, crimson beak, and Gray’s kameria, white ratany is a low growing shrub that tends to reach 2 to 3 feet (0.6-0.9 m.) in height and spread. The leaves are very small, ovate, and gray, and they tend to blend in with the stems of the plant. Much more impressive are the long branching stems and spines and, of course, the prolific reddish-purple flowers. Only ¼ of an inch (0.6 cm.) wide and with five long, tapered petals, these flowers cover the plants in a showy display in the spring. In the autumn, if there’s enough moisture, the shrubs will bloom a second time. The white ratany shrub flower exudes oil instead of nectar, and it attracts a very particular kind of native bee. These ‘oil bees’ combine the flower oil with pollen from other plants to feed their larvae. The flowers then give way to strange little fruits – round pods containing a single seed and covered all over in spines. The bark is apparently harvested in Mexico to create a reddish-brown dye used for basket and leather making. It is also reportedly used in traditional medicine to treat sores. Fun fact: Interestingly, while they still photosynthesize, ratany shrubs are parasitic, feeding on the roots of other plants for nutrients. The white ratany shrub is very drought and heat tolerant. As such, it is good for addition to native desert landscapes and xeriscape gardens, especially in places where bright spring color is needed. It can tolerate a wide range of soils, although it ideally needs good drainage. The plant can also tolerate below freezing temperatures, and is hardy down to USDA zone 7. Ratany shrubs also need to be in full sun locations. The plants do well when grown with others having similar needs, like creosote bush and Joshua tree yucca. In the right conditions, little care or maintenance is needed for this impressive looking plant. Read more articles about Ratany Shrub.